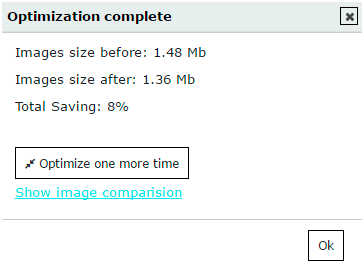 Image Optimization is a Galleries’ tool which is integrated with TinyPNG plugin. 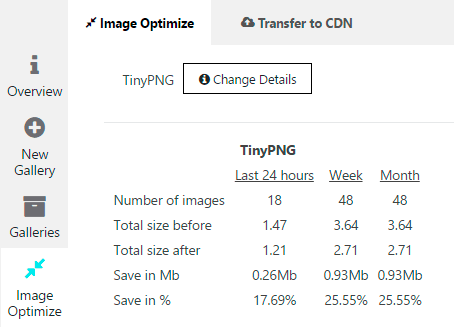 It optimizes website loading by using smart lossy compression techniques to reduce the file size of your PNG files. 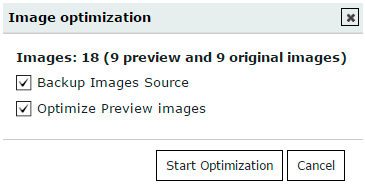 Open Image Optimizer and click on Change Details to enter your API key. After that you can optimize your media files. 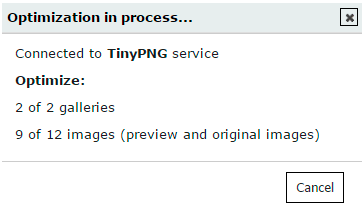 Select galleries, which you would like to optimize. Click Start Optimization. When optimization is started, you can see progress message. Optimize them one more time. If you would like to rewind optimization and come back to initial images, click on Restore Source Images. Note: this function is available only if you have selected Backup Images Source point before optimization.